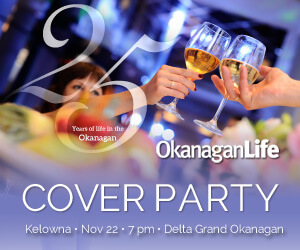 The Okanagan Life Cover Party silver anniversary gala is set for Friday, November 22 at the Delta Grand Okanagan. Marking its 25th year milestone in publishing, Okanagan Life will host the evening, which will showcase the Best of the Okanagan and help raise funds for Ballet Kelowna. The gala and fundraiser will start at 7 p.m. with a celebratory toast of Cipes Sparkling Wine from Summerhill Pyramid Winery and a dance exhibition from Ballet Kelowna. Guest will then visit live action food stations as the Delta Grand Okanagan’s Executive Chef Stuart Klassen and his culinary team showcases the finest of locally sourced ingredients. 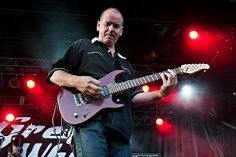 Taking to the concert stage will be live performances from local artists, including performances by Jimmy LeGuilloux, Jim Rhindress and John Paul Byrne, followed by the dance band Easy Fix. Since 2002, Ballet Kelowna has captivated audiences with a mosaic of classical and contemporary dance. Performances are intimate and carefully crafted, captivating audiences through the movement of dance. Their season opens on Friday, December 6 with The Nutcracker, an enduring classic that has been delighting Okanagan audiences for over twenty years. Tickets are $88 for the anniversary gala. Get Tickets.